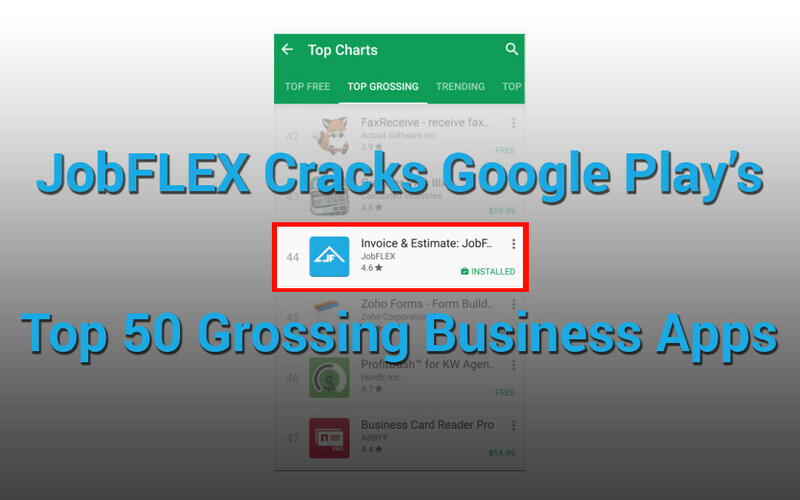 JobFLEX has ascended to the 44th spot in Google’s Top 50 Grossing Business Apps. As a privately funded startup, JobFLEX competitors include heavyweight apps and heavily funded entities such as Invoice2go, Invoice Simple and Quickbooks as contemporaries. 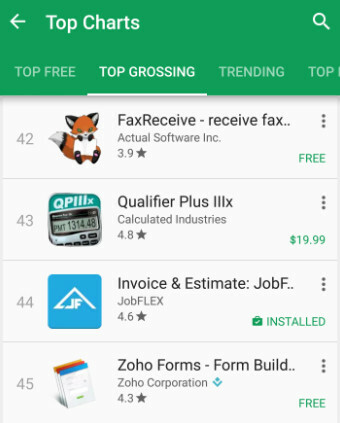 JobFLEX has continued adding features since being recognized as a top ten new free business app shortly after launch in the Summer of 2015. With an initial focus on creating estimates for contractors in the United States, JobFLEX has expanded the apps capabilities by launching the app internationally and including invoicing functionality. The goal of JobFLEX is to continue to provide more value through increased features and functionality. There are a lot of features still in the pipeline but the next to see the light of day will be payment processing. With this launch contractors will have an incredibly powerful business tool in their pocket that can create quotes, generate invoices, provide past due reporting, and payment processing. We’ve Cracked The Top 50, Help Us Join the Top 20! Share this post with your friends and family on social media to help us get there! Or click here to post a Tweet and help spread the word! Sign up below to get free resources for growing your contracting business without losing your mind - sent right to your inbox.